We're trying to do a lot here, in this life. Whether that's just to create the life we want for ourselves, to build a new company based on our passions, or to love those around us as much as they deserve. So we develop plans on how to make that happen. The only problem is that our plan is five pages long. It consists of building a place for ourselves to be seen, meeting people, networking, learning about our craft, all the while keeping ourselves as involved in our social circles as possible and working to make sure that we are keeping our bodies healthy. Sounds like a tall order, so how do we keep ourselves sane? How do we deal with being overwhelmed? Each person has a different threshold for what they can do at once and so we keep pushing the envelope until we're out of time and energy. I count myself in this, and have had to do the following to keep myself from curling up in a ball under the sheets. Acknowledge the feeling. This is especially important if you fall into the category of "high achiever." It's easy to believe that you're not overwhelmed and just need to get it together. Stop pretending and get real. Only by accepting the fact that you are stressed can you work to help it subside. Taking a step back and look at how far we've come. We've completed more than many thought would be possible. Even when we've decided to keep going, know that you're already ahead of the curve. Ahead of 90% of the people out there who are still just dreaming. Don't forget that. Resist the paralysis trap. 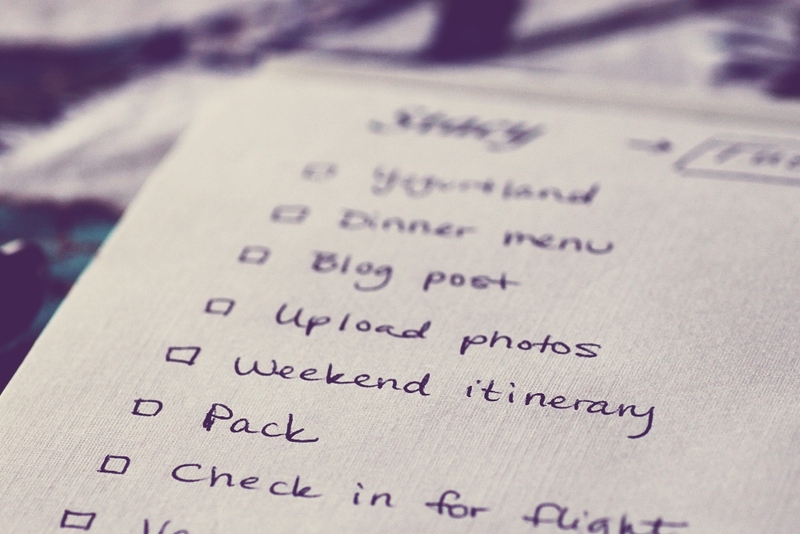 We make lists of what we need to do and just stare at it in disbelief. Sometimes we won't be able to accomplish everything that is on our list in one day, but we can knock at least one thing off of it. After that, we can either feel great that we at least did something or look at the next one on the list and tackle that too. Looking at what's left to do can be overwhelming for sure. Take it one step at a time. Reevaluate your commitments. Maybe along the way, you've picked up some activities that don't align with your vision/goals. It might be a new project, volunteer work, or your job. Whatever it is, remember that it's not about what you are committed to, it's about what you're willing to continue doing. That doesn't mean drop everything and fall only into one part of your life, but it means to be careful of what you commit yourself to, and frequently check-in to make sure you're still on your path. If not, start to make some changes. Ask for help. We try to accomplish a lot with what we have, but we often forget that there are those out there who would be happy to lend a helping hand. Your project might inspire them to just want to be a part of it. It could be putting together some flyers for an event or drafting an email to send out to your subscribers, or even just listening to your woes and bouncing ideas back and forth. Do not underestimate the importance of talking through problems. Most of us only see the figurehead for an idea/campaign and never see all of the support and help they had along the way. By relying on others, we can leverage what we've done and take it to the next level. No one has made a movement on their own. Even the most important projects only worked because they inspired others to take action and spread the word. And don't forget....relax. It's critically important to relax, to take time to breathe and do nothing related to our projects. With passionate people, it's easy to get carried away, to keep diving in to what we're working on and believing in. But that's a sure-fire recipe for burnout. This burnout will kill your project before it even has a chance to grab hold. Making sure to take a break, as counter productive as it sounds, will actually help in building that project up. It will allow your mind a chance to look at a problem in a different light. Even just a shower might be enough to come up with a new idea. Maybe you don't have to do everything that you set out to do. Maybe there's another way, and that big looming project is no longer necessary. Be open to new possibilities. What are some of the ways you cope with overwhelm?